With Bitcoin volatility making daily headlines, even those living in the technological ‘Dark Ages’ are realising that the future is digital. Financial transactions, communication and administrative tasks are in cyberspace more often than in the real world. Most people cannot function without their social media, banking and communications apps. Yet technology advances at much faster rates than governments respond to it. Politicians themselves own cryptocurrencies and use social media to promote their views, boosting their popularity. But collectively most governments do not know how to regulate these phenomena – although they certainly want to. Many of these technologies fundamentally challenge key functions of a state. For most of the 20th century, governments were able to control finance and communications flows. An average citizen could not, for instance, receive money from abroad or watch CNN in the former Soviet Union. North Korea is the only state which still maintains similar levels of control. Other authoritarian countries, while maintaining a significant level of control over their citizens’ lives, struggle. The power of the internet means that citizens are able to transfer money and share information at the click of a button, whether the other person is in a house down the street or halfway across the globe. But this also opens up citizens, businesses and governments to vulnerabilities: hacking, scams, misinformation, propaganda and fake news. Ernst and Young estimates that U$400 million has been stolen from funds raised in cryptocurrency initial coin offerings (ICOs) between 2015 and 2017. Cryptocurrencies are mostly unregulated at the moment, with fly-by-night projects, scammers and Ponzi schemes competing against technologies that can potentially transform global finance. The mobilising potential of social media to protests against authoritarian governments made headlines during the Arab Spring in 2011. But more recently, Facebook admitted that as many as 126 million Americans may have seen content uploaded by Russia-based agents over the past two years, trying to influence them ahead of the country’s elections. Government protection of its citizens in cyberspace, however, requires a careful balancing act between internet freedoms and regulatory frameworks. Our latest Occasional Paper Balancing Cyber Security and Internet Freedom in Africa by Yarik Turianskyi examines the current state of affairs in Africa, where, as in the rest of the world, internet freedoms are on the decline. This is happening as governments attempt to curtail the transparency, information-sharing and mobilisation potential of the internet. Instead, policymakers should be focussing on protecting citizens and companies against crime, as well as working with other stakeholders to ensure that technological advances ultimately improve governmental accountability. 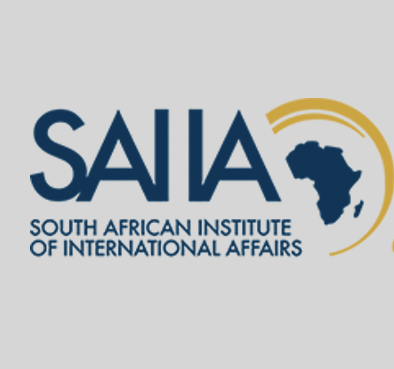 This article was first published by SAIIA on 12 February 2018. This article was republished with permission.